A report by the National Endowment for the Arts on measuring the impact of professionally conducted community based cultural programs on the general health, mental health, and social activities of older persons, age 65 and older. The guidelines are for anyone who organises arts and cultural events that involve older people as organisers, artists, participants or audience. A model of best practice for using drama workshops and professional theatre performances to promote positive mental health. 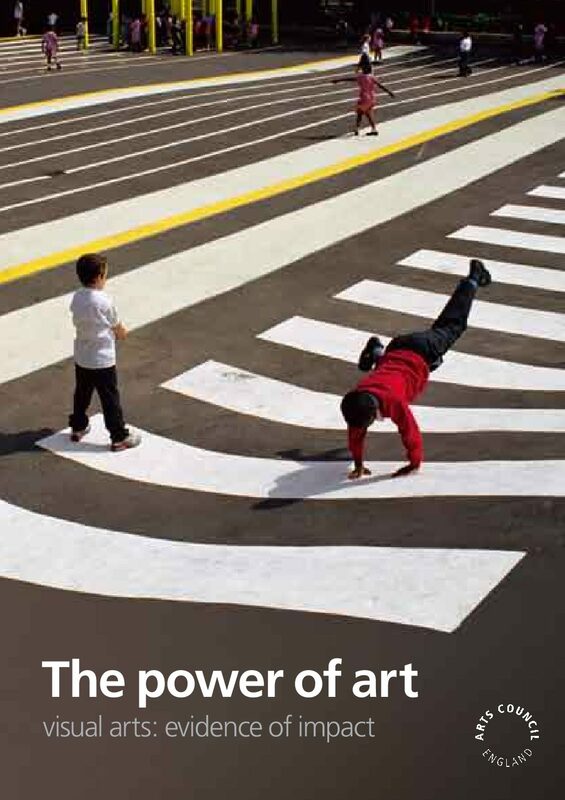 This Arts Council England report covers 20 case studies looking at the impact of the visual arts in the contexts of regeneration, health, and education and learning.